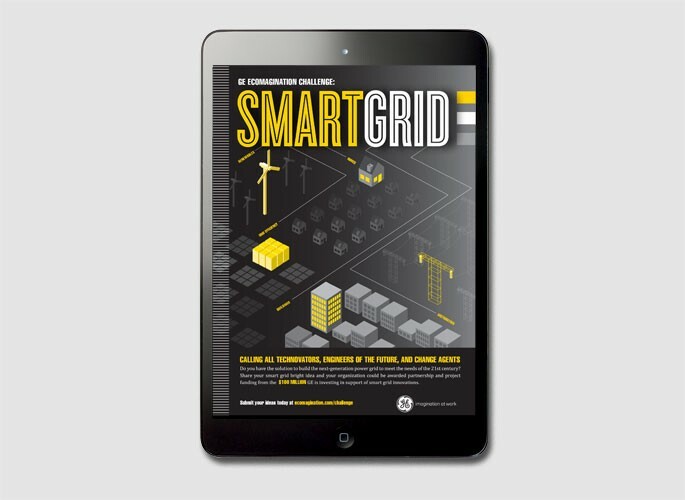 WIRED worked with GE’s top executives to develop an integrated program challenging WIRED readers to build the next-generation power grid to meet the needs of the 21st century. Print: A single-page teaser was created followed by a 4-page insert describing the challenge in greater detail and highlighting five points for consideration. Tablet: Two complimentary custom units ran on the tablet edition. 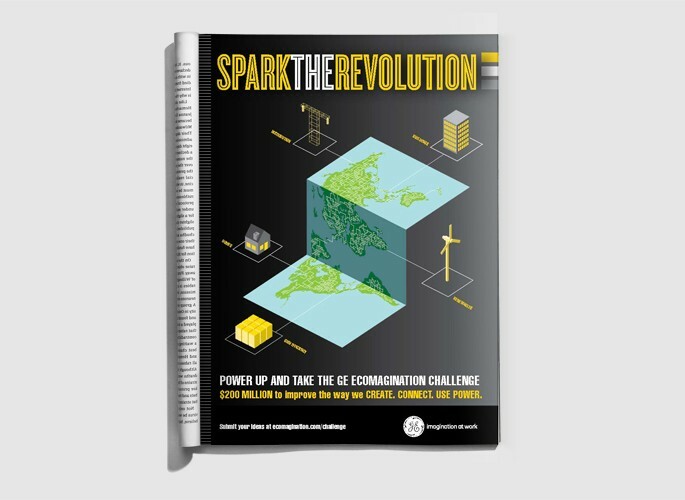 One featured a 30-second video of GE CEO, Jeff Immelt, announcing the challenge and the second featured a slideshow of a new GE product, the GE Wattstation. 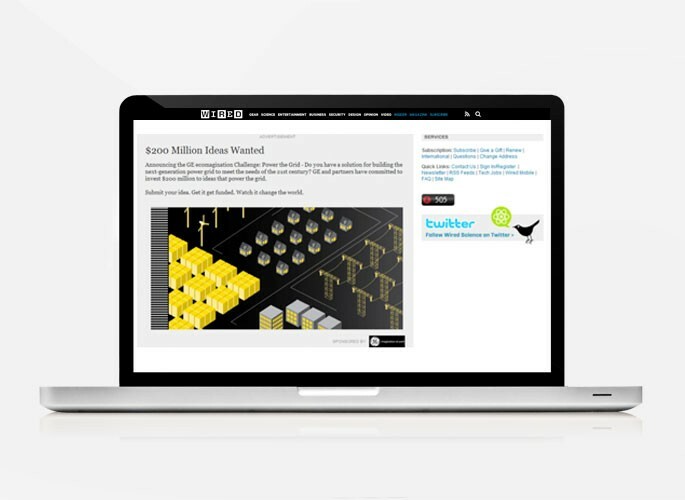 Digital: A custom expandable rich-media ad unit highlighted relevant thought-leading WIRED articles on the power grid.